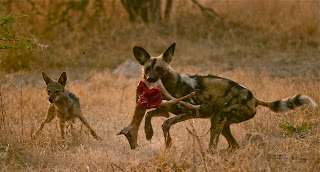 Last year the NHFU embarked on a new project - filming a lone wild dog in Mombo (a Wilderness Safari concession at the Northern tip of Chief’s Island). It is a story of how an area that used to hold the greatest packs of dogs recorded in the wild now has but a single individual dog. 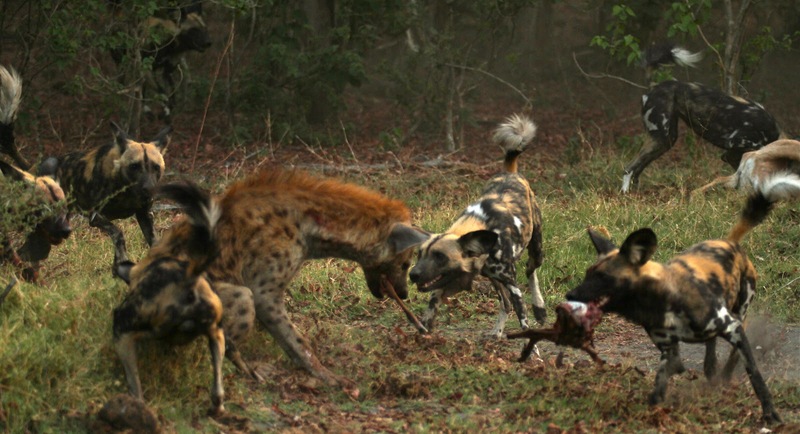 Nobody is entirely certain as to how she came to be alone and what happened to her pack, but the general consensus is that the large pack gradually split into smaller units, which moved further south. This dog (a female) was seen on a number of occasions over a few months with 2 other dogs, and eventually she was only seen alone. 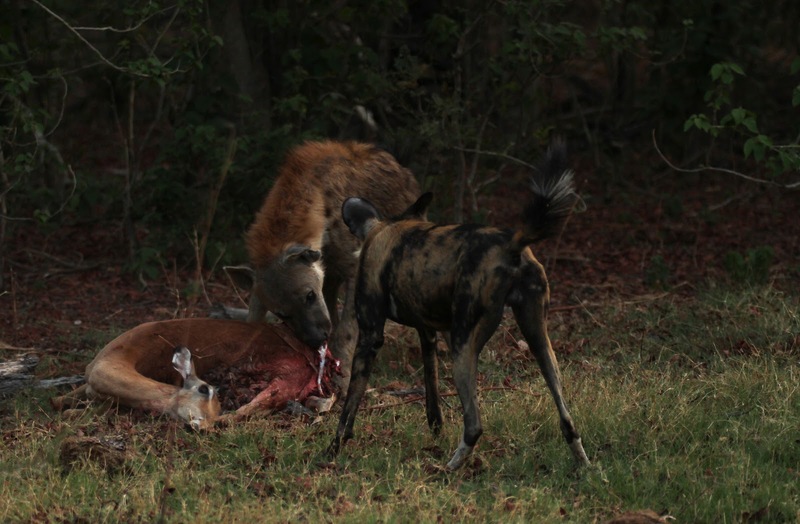 The assumption is that lions killed her 2 companions, leaving her the sole surviving dog. At this stage she has been living alone for over 3 years and she doesn’t seem to be suffering any obvious ill effects of her isolation as she appears to be in good condition. We are intrigued as to how she is managing to survive and indeed thrive in one of the most lion dense areas in Botswana. 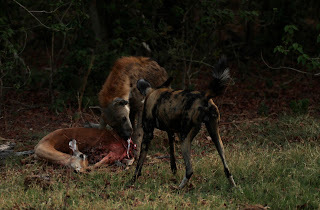 By all accounts, wild dogs do not fare well on their own. 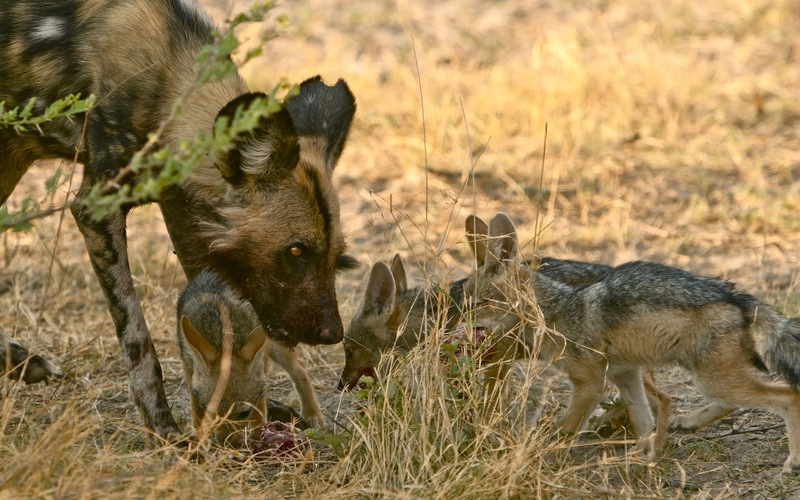 Her success may be due to the unusual relationship she develops with families of jackals. We don’t understand completely how this assists her in surviving, apart from the obvious mechanism of providing more eyes and ears to alert her to danger. 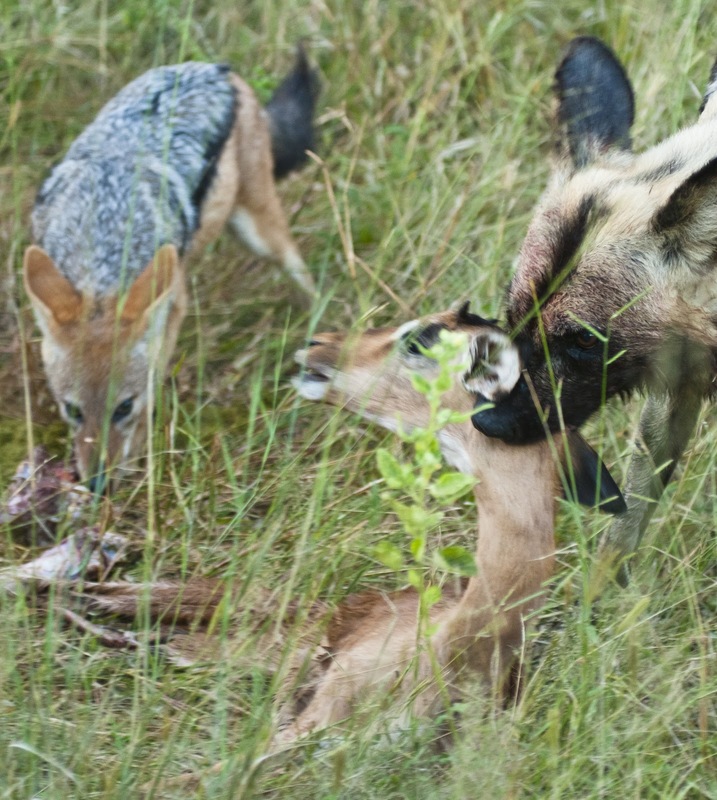 It does seem that this relationship with the jackals fulfills a vital social role though. 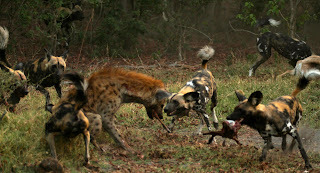 She has also found herself a place within the pecking order of a clan of hyenas. 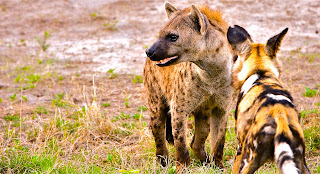 She relates to one hyena in particular and this individual will often accompany her on hunts and they spend considerable time in close proximity to each other. She shows an inordinate tolerance for hyenas in most circumstances, apart from when there are jackals pups around. It is perhaps a testament to her character that she has survived so long, as she does seem to be a particularly feisty individual. Brad has observed her chase a leopard away from her jackal friends and once saw her make a bold run at a lioness, until she realized that that sort of behaviour has zero survival value and she fled in the opposite direction. Dogs are notoriously difficult to follow and film and the project has had its challenges, but it has certainly been interesting. National Geographic Channel is in the final stages of post-production and the film should be released at the end of the year.